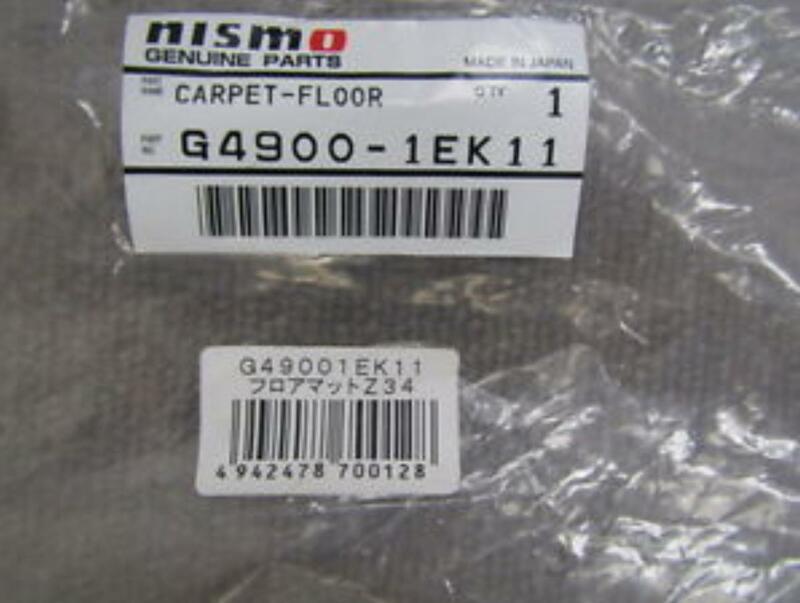 Just bought a set of Nismo OEM factory mats to replace the std Nissan ones. 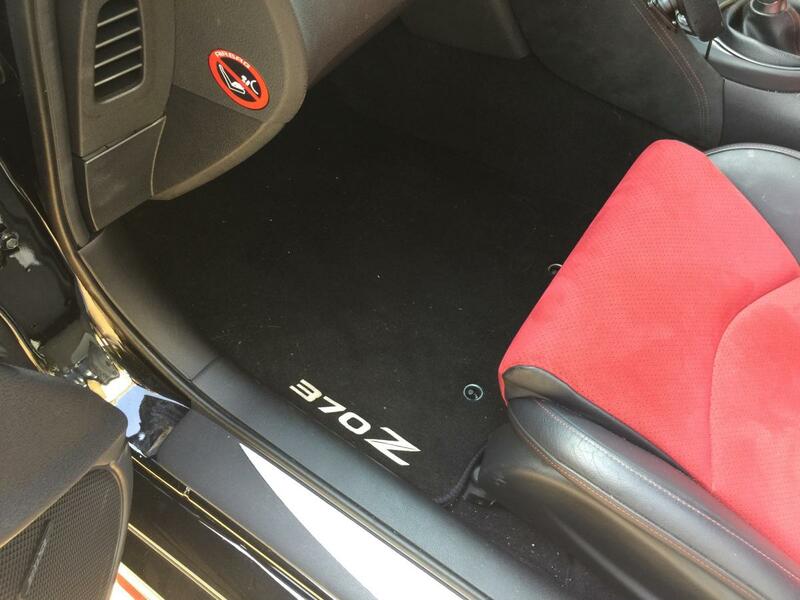 The red stitching complement the rest of interior red stitching. 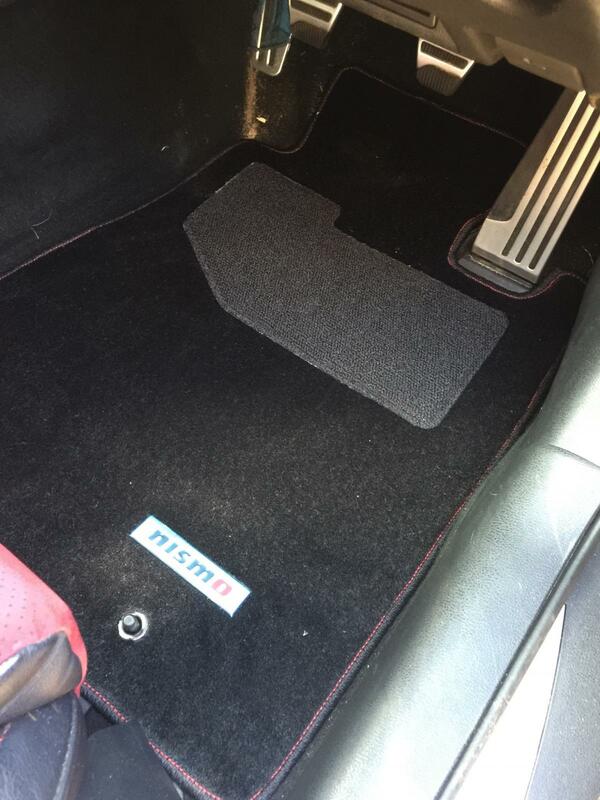 Also the ring hole is smaller so a snug fit around the protruding plastic floor mount, plus loads of little spikes underneath to prevent the mat from moving around unlike the OEM Nissan 370 floor mats. Nice - do you have a Part Number? 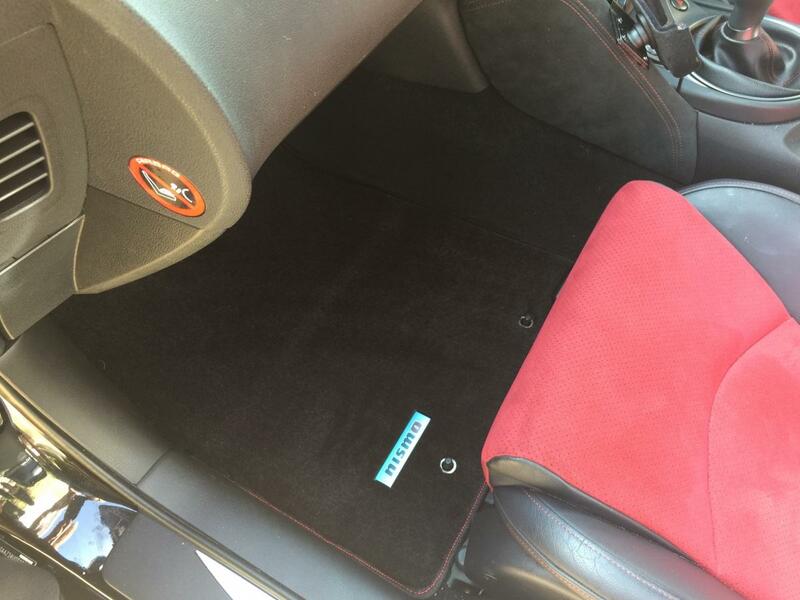 They must be either from Japan or Australia as a common gotcha is buying US mats which wile they exist don't fit. They are very nice though. 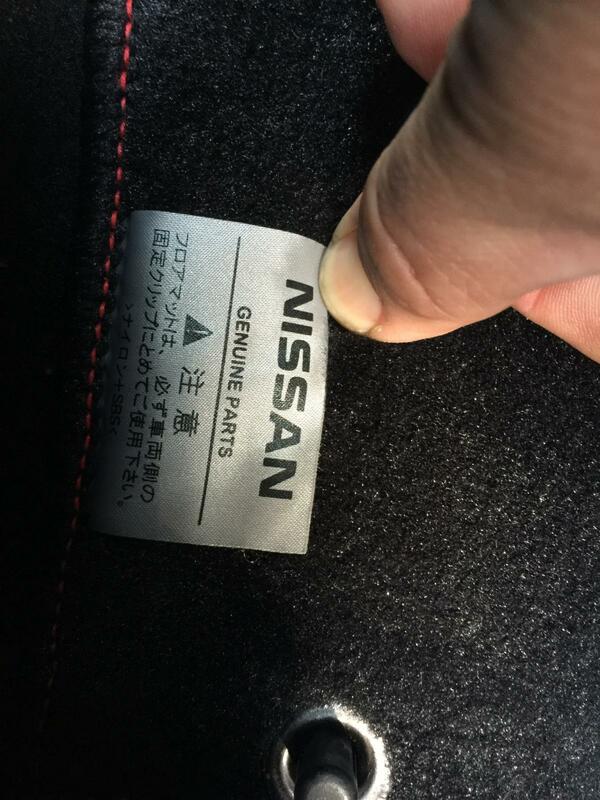 Unfortunately no part numbers on mine, however found the part number below from a Japanese Ebay link. I think I bought the last set, was trying to resist for months, but evenyially caved in when he messaged me again last week to say that he had just sold another set and only has one set left. They are also available here for £389! They look like a really well put together set of mats. Very snug little holes for the plugs and a good sized and shaped bit of extra carpeting for your feet when in action. If they're as durable as they are well designed they look like a very good buy. They are - the LHD ones are easy to get and a lot cheaper. Thats what I originally thought, however really pleased with them. 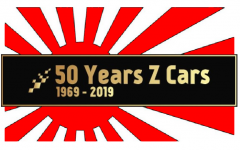 Also the Nissan 370Z mats for £75 are looking shabby after a few months and without additional padding under the drivers feet will probably wear through within 12-18 months as the car is a daily driver. You know what? They certainly aren't cheap but they do look like they're well made an an extremely good fit. They might be twice the cost of the standard mat but the old adage says "You buy cheap you buy twice" so it sort of works out! Maybe some kind soul could make a template from them so we can approach a custom mat maker to produce some good-fitting mats for us all!